Before you turn the key in the ignition on a rainy day, remember that traffic accidents are much more likely to happen when the roads are wet. Proper precautions taken before you pull out of your driveway, as well as safe driving practices, can make the trip safer for you and your fellow travelers. Before you head out onto the highway, check to see if your tires inflated properly and make sure that your brakes in working order. Are your windshield wipers in need of replacing? You need to make sure your car is in good working order whenever you drive, but in bad weather, it is even more important. 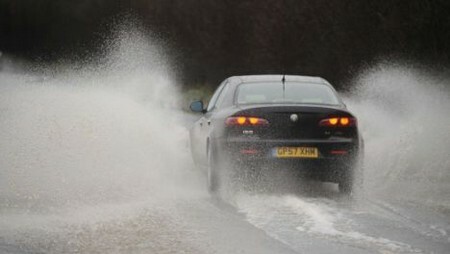 A good rule of thumb for rainy weather is “if the wipers are on, then the lights should also be on”. This means if it is raining hard enough to require windshield wipers for you to see, then your car’s visibility to other drivers is also diminished. Your headlights will help them avoid hitting you. Also, maintain safe braking distance between your car and the car ahead. 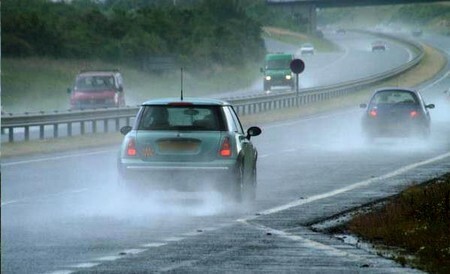 It takes longer to brake on wet roads, and it’s better to take things slow than to end up in an accident. Heavy rains are tough for driving. Sometimes heavy downpours can reduce visibility to inches. This is when you need to get off the road, if you can do so safely. If you’re forced to pull over, get as far off the road as possible and use your emergency flashers. Do not get out of the car in heavy rain, even if you have a flat. Drivers who are on the road won’t be able to see you. In addition to lowering visibility, heavy rains can create large puddles on the road, and in some instances, entire roads are flooded. Never drive into water so deep that you can’t see the road. Sure, we all have places to go and we can’t let the weather keep us off the roads entirely. But, we can be prepared for driving in hazardous conditions and we have to do our part to keep the roads safe for others and ourselves. About the Author: Vincent Carreno is a cars enthusiast who loves all things about cars and the automotive technology. He is also the chief editor at a local magazine which shares new, exciting and informative articles about troubleshooting car problems.